green inquiry | What have we been doing this year? This was a great experience as it was our second time helping to build a garden! 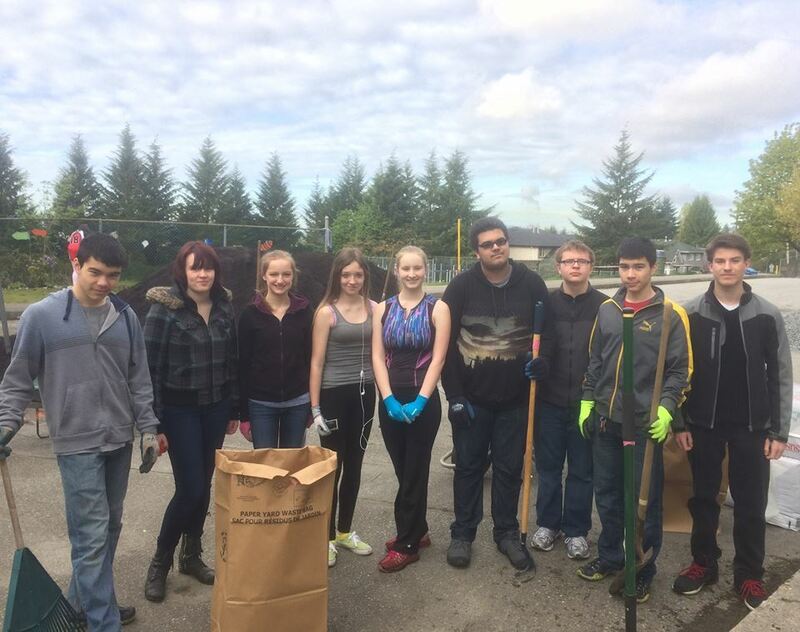 Hannah, Sophia, Nicole, and Shauna along with other students from our school at the Mailard School Beautification day last April. The three of us, Mr. Truss (our principal), Joey and Josh (other students at our school) have presented at two education confrences this year–One at SFU, and the other called DisruptED in Vancouver. 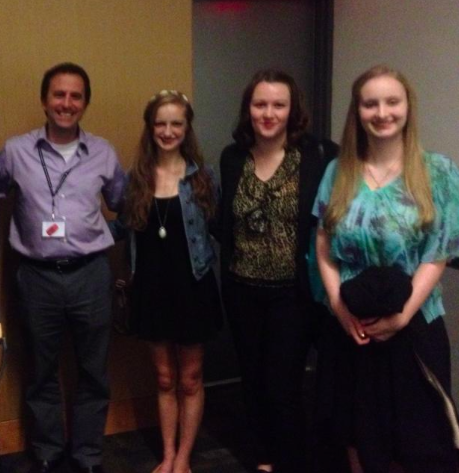 Mr. Truss, Sophia, Hannah, and Shauna after presenting at the DisruptED conference in October. We were nominated by our teachers for an Environmental Achievement award through the Spirit of Coquitlam and invited to the dinner and ceremony on June 8th..and we ended up tying for first place! 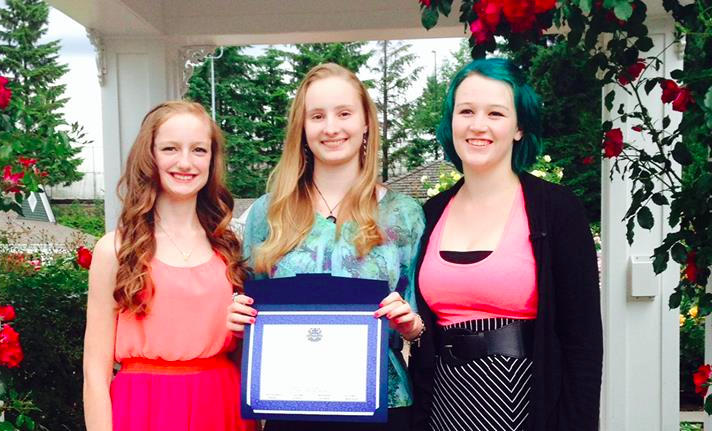 Sophia, Shauna, and Hannah after receiving an Environmental award in May. We found out just before Christmas that we have gotten the grant and will be receiving $7,540! With the money we will be putting benches and picnic tables into our garden, and Nicole will be creating a mural for our school. Its the time of year again where we are getting busy with our projects and with preparations for our garden as its getting closer to the Spring, and we will be posting on our blog regularly.